Here's the Fur Family website. We are the pets of Dorothy (but we kitties are everyone's!). Our family is Grandpa Clyde, Grandma Margaret, Aunt Amie, and Brandon and Leah, our cousins. We are a very well loved family of pets, although we are considered people in our house! We love getting into trouble and never fail to do so. We are the mice. Our names are Harley, Davidson, and Missy. We are the smallest in the family. We love to eat and run in our wheels all night long! Grandpa Clyde and Aunt Amie are afraid of us. We don't know why, though. We thought we were cute! Here we are, the Gamecube family, Zelda Louise and Mario Buddy Goku. We are the family's Gamecubes. We were both named after video game characters. 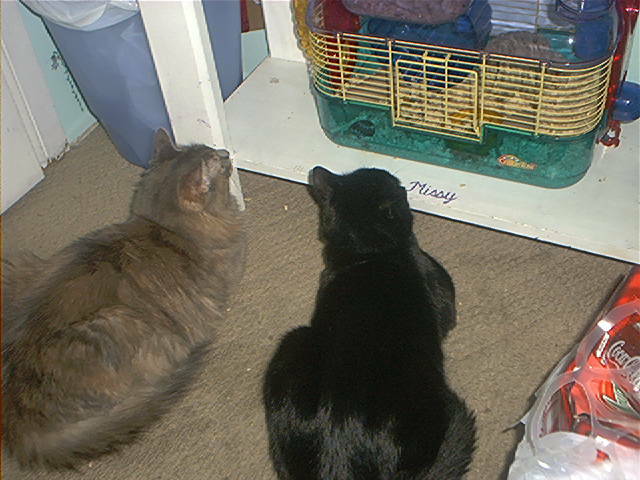 He we are doing out favorite pastime, wacthing the mice! See more about the Gamecubes. Here's me when I was looking Scruffy! 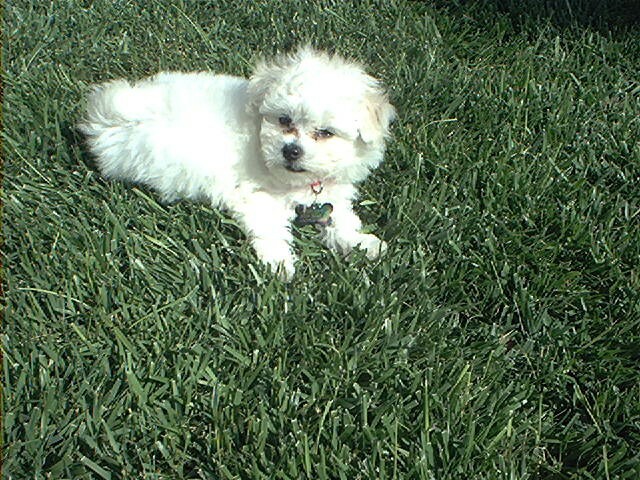 Laying in the Yard- Not Going Anywhere! Our names are Frosty Trouble and Coconut Sassy. 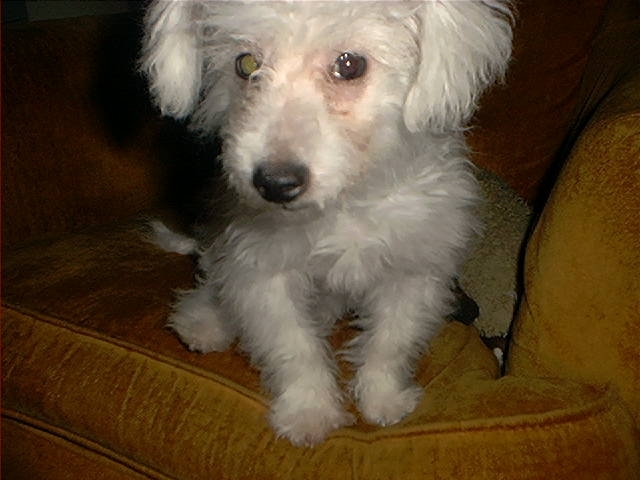 We were named for our snowy white hair and our ability to find trouble where there is none! Our family loves us and so do we. We love when people pay attention to us, so check out our pages! We'll tell you about what we do for fun, where we come from, and what we love! Find out more about me, Frosty and my sister Coconut.